The Materials Collection was released two years after the completion of Pretty Soldier Sailor Moon and contains beautiful original character sketches and illustrations, as well as notes written by Naoko Takeuchi. 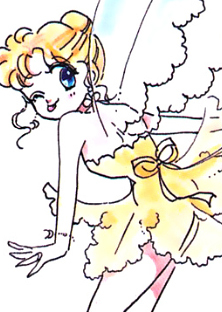 The book features a few characters that never made it into the manga, such as Diana the Moon Fairy, as well as the short story Parallel Sailor Moon at the end. The Materials Collection is a very interesting read as it reveals many of the ideas that Naoko Takeuchi had while creating the manga. Many of those ideas were never implemented into the finished product, but reading how Sailor Heavy Metal Papillon was a parent, or that Tiger's Eye's favorite phrase was "My dream is to be an artist." is still quite fascinating. For anyone interested in seeing the contents of the book, Manga Style has a gallery with the scans, and you can find translations of the notes here. 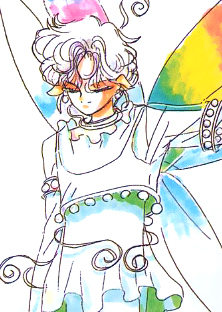 Moon Fairy Diana was originally planned to be found by the sailor soldiers in the ruins of the moon. She was supposed to stick around Usagi and Luna, although she did not get along with Luna. She's playful, impertinent, talkative and fragile like a teardrop. She has thin, light blue wings and thin, lemon-colored lace clothing. Her bottom always flutters. 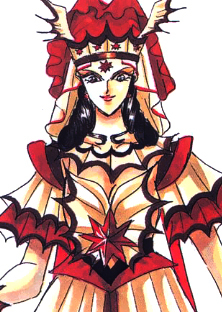 Badiane was a character that never made it into the manga, but could instead be seen in the SuperS anime movie. She wears red eyeliner and a cape that seems to flutter as she walks. 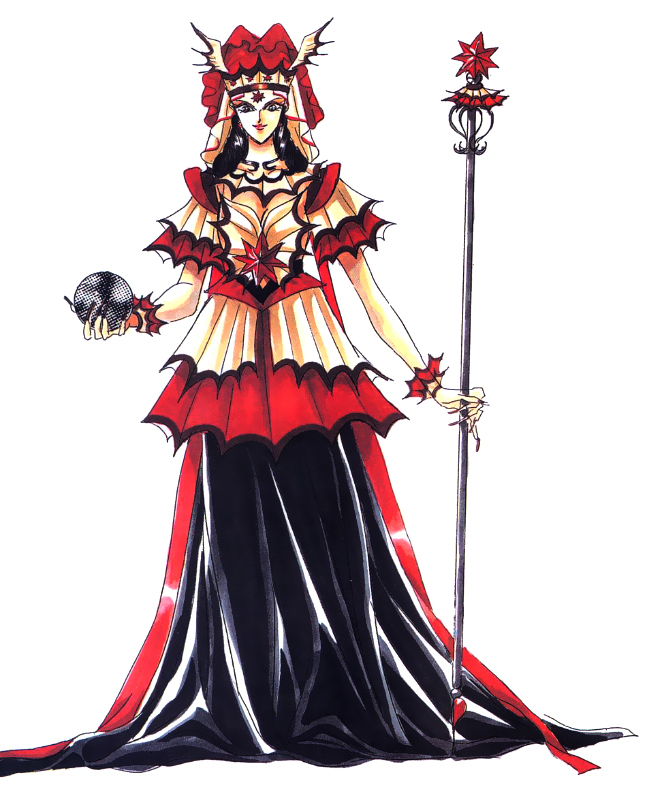 She carries a pitch black iron cane, wears a crown and star anise earrings. Star anises are attached to her skin and both her hair and skirt are pitch black. The star anises are used in Chinese cooking and are attached all over her body as accessories. Her hair has the image of twisted bread. 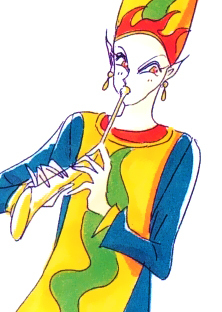 Poupelin was a character that never made it into the manga, but could instead be seen in the SuperS anime movie. He has green two-layered hair with red eyes. He's described as "very cool". 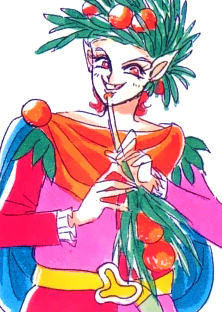 Banane was a character that never made it into the manga, but could instead be seen in the SuperS anime movie. He's a reptilian with a tongue that stretches out, and his appearance resembles that of a banana. Orangeat was a character that never made it into the manga, but could instead be seen in the SuperS anime movie. He's a male transvestite with broken teeth, and has oranges attached to his outfit. 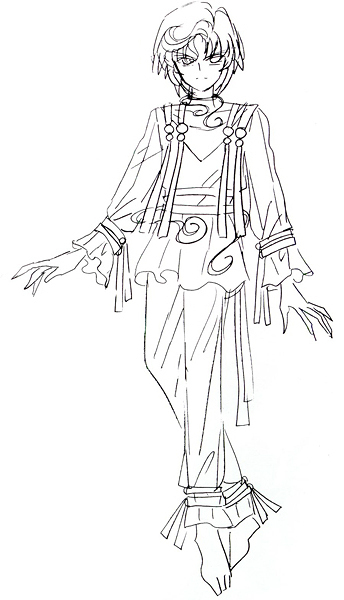 Perle was a character that never made it into the manga, but could instead be seen in the SuperS anime movie. 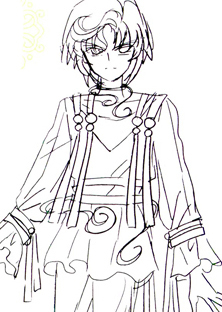 He was meant to meet Chibi Usa at some point and he carries a thin glass flute with pearls inside. He has a three-layered pearl-colored haircut and wears pearl earrings. 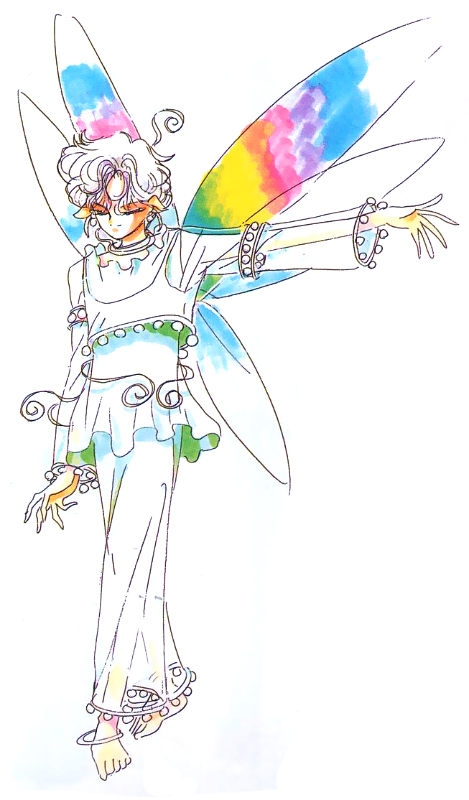 His wings are pearl-colored and shines with the colors of the rainbow during special times. Normally his wings are transparent and white. He usually walks around barefoot. 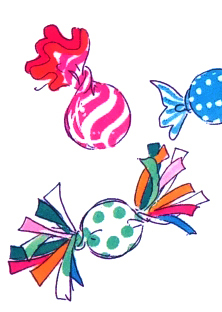 Papillote was a type of colorful candy that never made it into the manga, but could instead be seen in the SuperS anime movie. 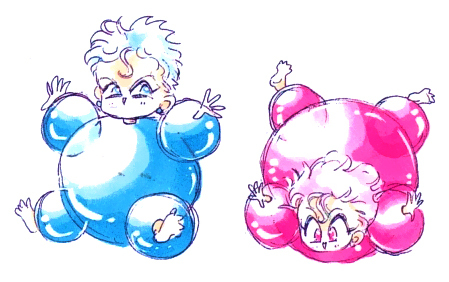 They transform into Bonbon Babies. 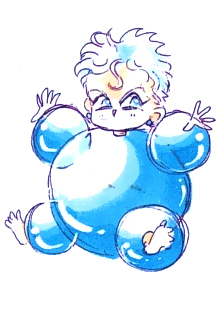 Bonbon Babies never made it into the manga, but could instead be seen in the SuperS anime movie. It's not told what they originally were meant for, but it is possible that they were supposed to be used as meaningless underlings (that became their purpose in the SuperS movie). The Bonbon Babies come in various colors and seem like impertinent kids. They are piercingly loud, and they often laugh and cry. All of them have the same hairstyle and the same face.